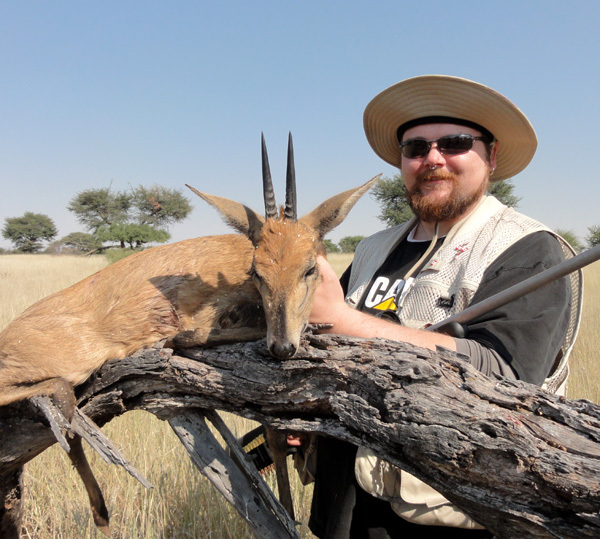 Hunting in Africa has always captured the imagination and attention of people and hunters all over the world. For many, this has only been a dream: to hunt in Africa. The more unusual these dreams are, the more expensive it usually is. 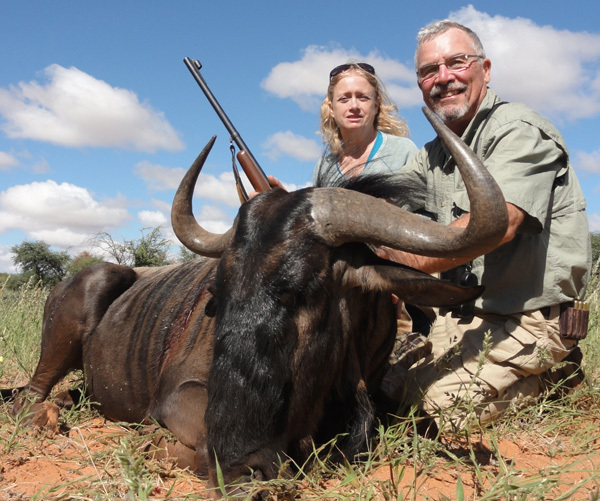 But you may be surprised to find that an African Trophy Hunting trip with your family or friends, is not an impossible dream. 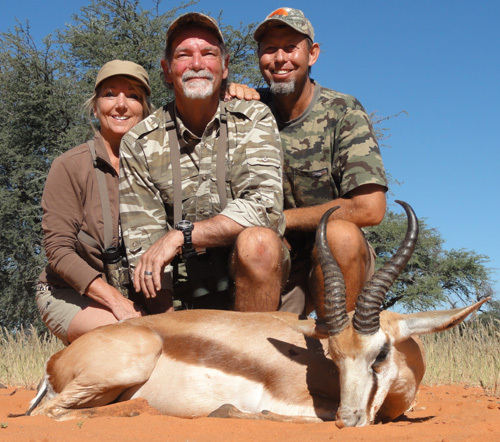 It is our privilege to announce here special hunting packages on our ranch in the Kalahari of Namibia, Africa. With these we aim to make an African hunting experience (see pictures) accessible to all foreign hunters and their families by striving to bring you the best deal possible on our game animals! Since we feel very strongly about family life, relatives and the importance of special memories together with your loved-ones, we know that a lot of people would like to do once in a while a very special adventure together to strengthen these ties. We invite you to come on a Kalahari hunting trip with that special person/s in your life... be it your wife, your son, your daughter, your parents or your life-long friend. The Kalahari is home to many animal and wildlife species such as the Kalahari Gemsbok, Blue Wildebeest, Kalahari Springbok, Blesbok, Red Hartebeest, Greater Southern Kudu, Eland, Steenbok, Impala, Duiker and Giraffe. At certain times we have an abundance of wild game in this area, and then have to remove some animals. Management hunts are the means we use to accomplish these management goals and simultaneously offer great and affordable hunts for hunters who would like to hunt more animals. The result is a more biologically sound habitat and a great experience for you. Many of the management animals taken on these hunts rival the trophy quality other outfitters sell as trophies. Return airport to hunting area ground transfer @ U$400 per hunter (when one hunter) or U$350 per hunter (when more than one hunter). This Special Packages is subject to availability and/or further notice on this page. 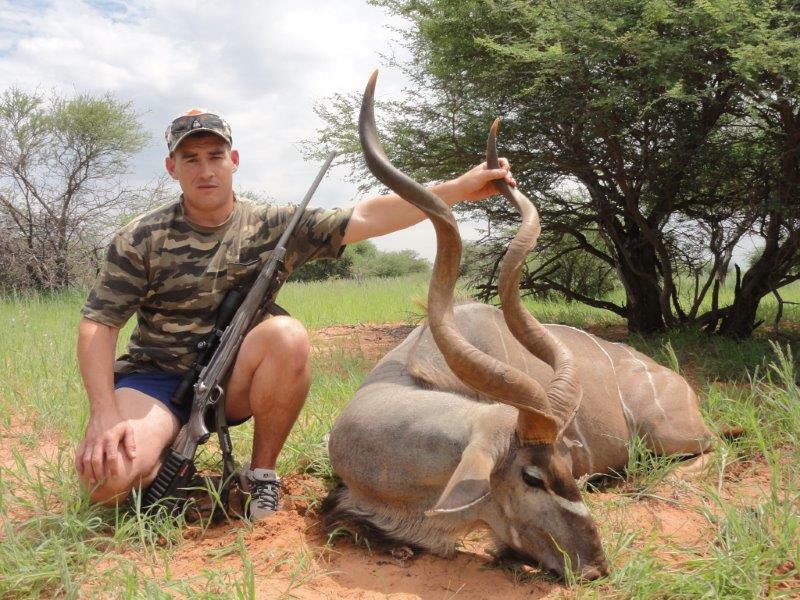 Our standard Terms and Conditions apply in addition to these Special Hunting Package Terms. By prior arrangement and at our discretion, hunting days and additional animals may be added to the hunting package at our regular rates (click here for our Pricelist). A non-refundable deposit of U$1000.00 is required to confirm your booking. 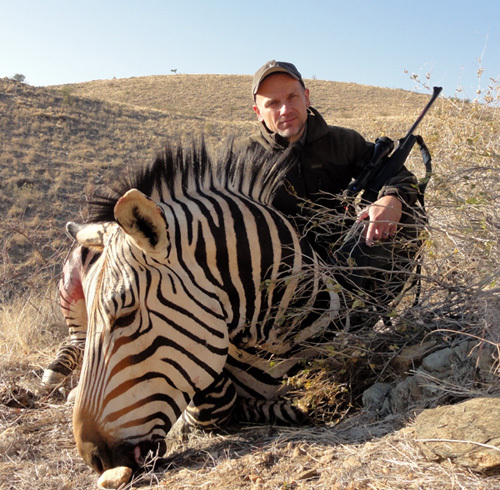 Any additional charges are to be paid by the client in Namibia after completion of the safari and prior to departure from Uitspan Hunting Ranch. 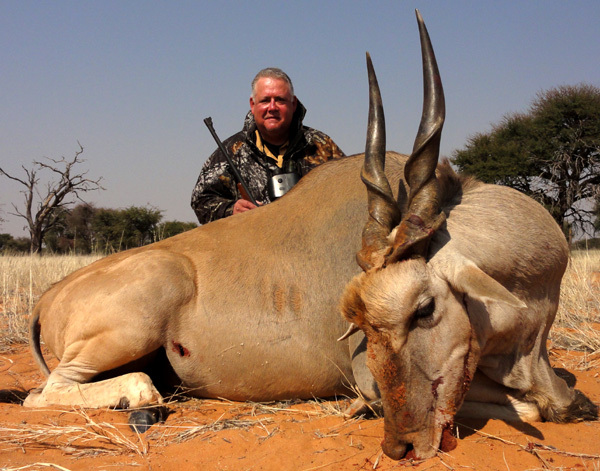 All Kudu trophies included in the packages above, are 48 to 52". 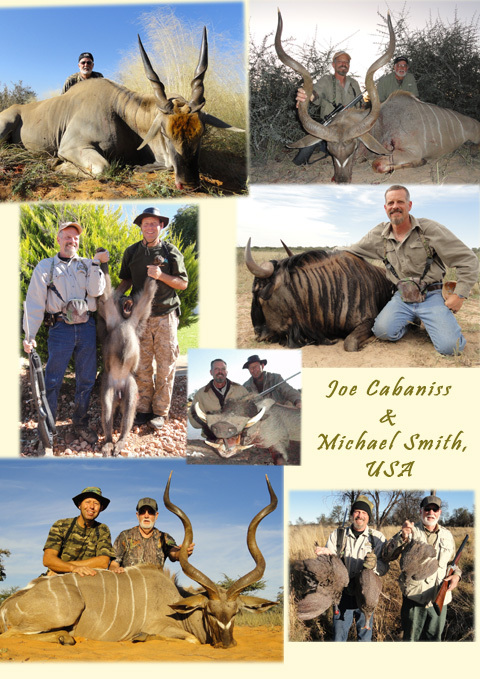 All Gemsbok trophies included in the packages above, are 35 to 38". Contact Us if you have any questions about our special packages.